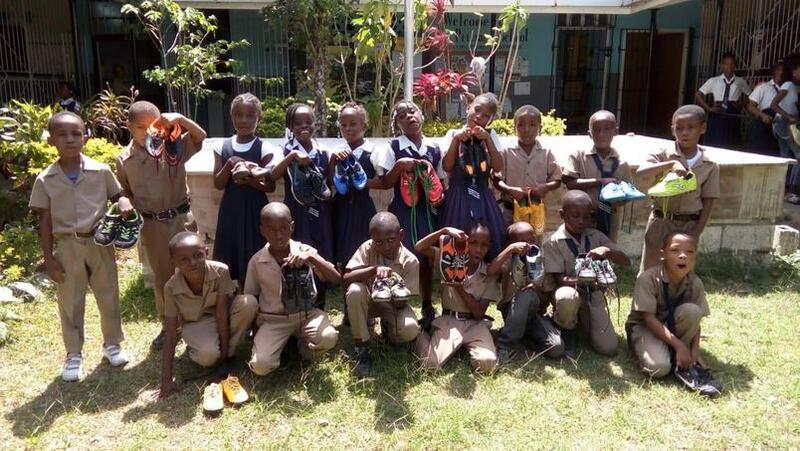 Dave, who takes football sessions and runs the Samba Soccer Club at Stanley, asked children and parents to donate any out-grown football boots or trainers for children in Jamaica. 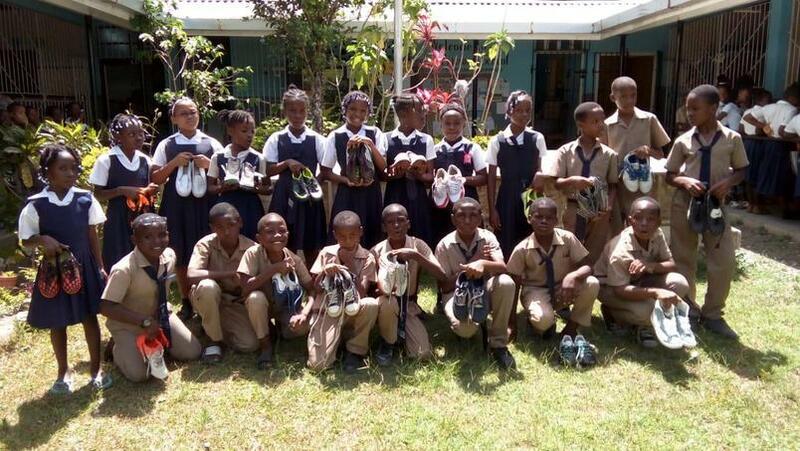 Dave then organised getting the highly sought after boots to Jamaica. 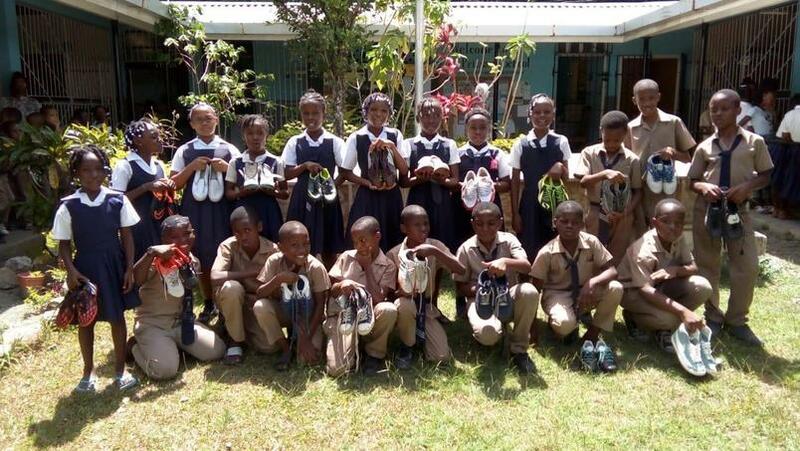 The pictures below show children at the Lysti School in Jamaica showing off their new boots and trainers. They are all very keen football fans and players and really appreciate your donations. 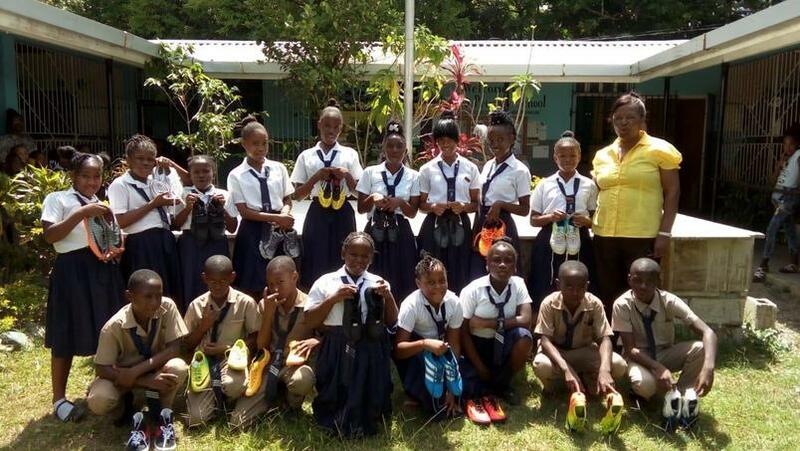 So a big thank you from the Jamaican school, its footballers and Dave to everyone who kindly donated their boots.